One of the most spectacular of all the colroful flora which bloom on the desert each spring. The fire-red blossoms resemble the tassels of the buggy whips common in grandfather's day. 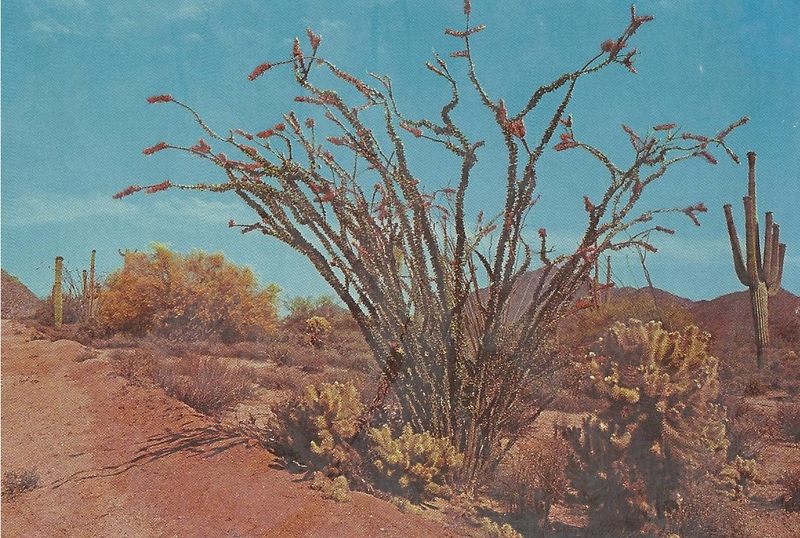 It is seen here in a cluster of Cholla cactus and a giant Saguaro in the background.